The table you need to fill! Your data flow task could look something like this. The table is populated when you run this package. 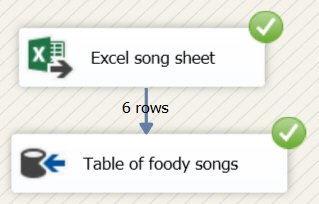 Again, feel free to give your tasks completely different names to these! 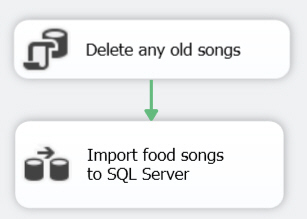 Run the package to check that you only get 6 songs in the SQL Server table, then close the package.